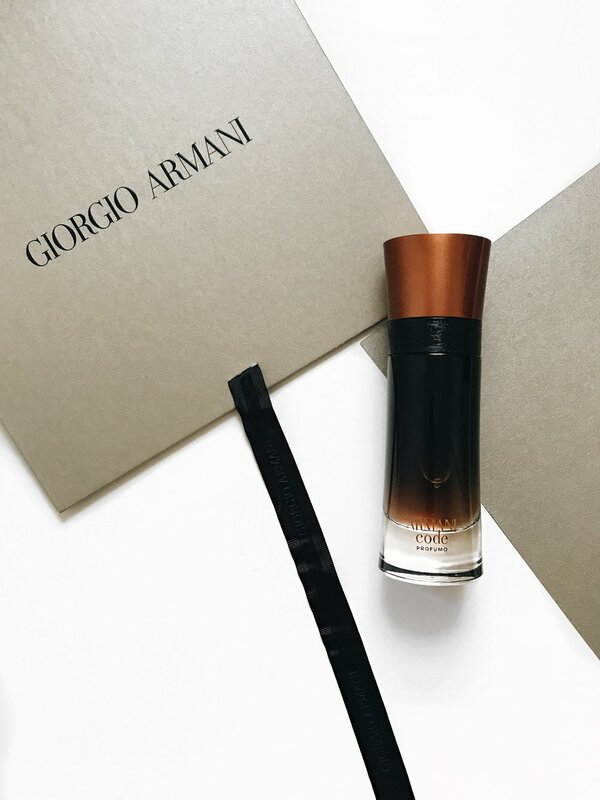 Being a fan of the Armani Code; Profumo, and having reviewed that previously before in my last years Summer 'Fragrance Battle', perhaps you can only imagine how bowled over I was by receiving a bundle of the Giorgio Armani Code fragrances! Also with Father's Day slowly creeping up on us, perhaps these fragrances will give you a few ideas? 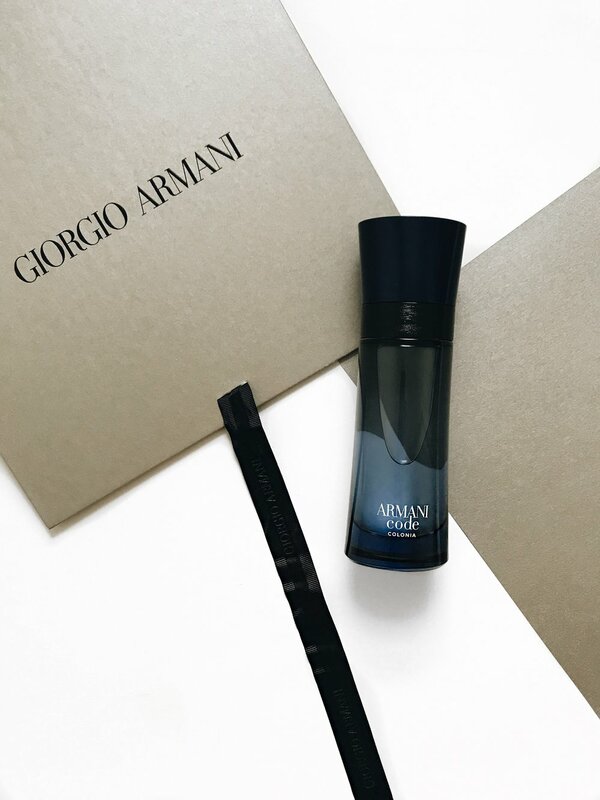 The latest addition to the Armani Fragrances; Code Colonia is a fresh, clean smelling take on the original Code fragrance, which begins with a sharp burst of the Bergamot note blending with the Pink Pepper note, which adds a spicy touch to a rather citrusy fragrance! The longevity of Code Colonia lasted between 5-6 hours upon my skin, and gained me a couple of compliments which is always a plus! The sillage is rather light, and is better worn during the daytime. You can purchase Code Colonia here. Launched in 2004, the original Code fragrance has an Oriental Spicy feel to it, and is better suited for those cool Summer nights. I found Code to be incredibly sophisticated without coming off too overpowering, yet is not one for blending into the background.. The opening of Code begins with a sweet citrusy burst that soon settles into a deeper, more sexier scent with the Leather and Tobacco notes remaining prominent during its dry-down. In terms of longevity, unfortunately I found this to be rather disappointing with it only lasting for up to 4 hours upon my skin. However, the sillage was medium-heavy and out of the three, this fragrance is my personal favourite! You can purchase Code here. Without running the risk of repeating myself, as I mentioned earlier, I have previously reviewed the Code Profumo in my last year's 'Fragrance Battle' which you can read here! Rich, luxurious and animalistic. A fragrance that is an instant winner! You can purchase Code Profumo here. Now that I have given you my experiences with each of the 'Codes', the original 'Code' is my personal preference due to the sophistication of the scent and the different, intriguing notes featured within each layer! All of the Armani Codes are now available to purchase both online, and in your local Boots store! Which Code sounds better suited to you? Have you tried any of these out before? If so, which ones? Which is your favourite? Do let me know your comments down below as I would love to hear from you, and don't forget to click that 'like' button!